MARK SCHWARTZ FOOTWEAR DESIGN CLASSES. The shoe industry today is an ever changing business that must be followed closely when it comes to trends. But, there must be a basic core to good and classic shoe design that runs through every trend and ever-changing season, be it fall/winter or spring/summer. Knowledge of basic design skills is very important and is the spark that can ignite you into the world of shoe design. Creativity in footwear design is KEY in todays market and it’s become more difficult because of certain technology advances such as photo shop and pre programmed shoe design courses that do not concentrate on the most important factor CREATIVITY ! Schwartz teaches creative insights into footwear design, starting from a blank piece of paper to a finished sketch. Mark also teaches how to draw and create patterns and designs on the last (form), giving the classes more dimension and a closer feeling to the actual product. 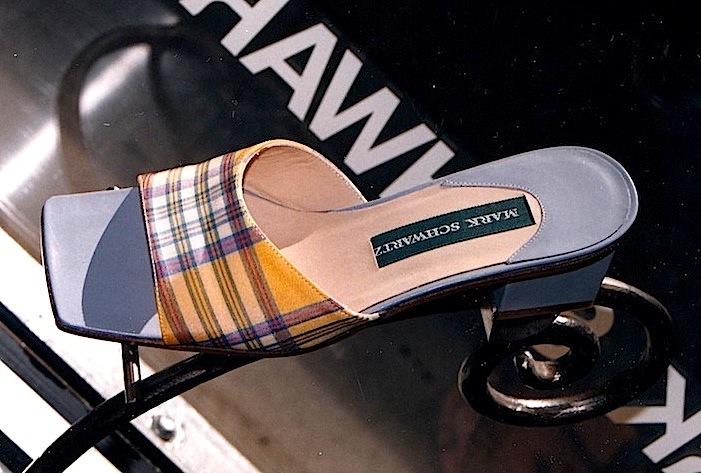 MARK SCHWARTZ SHOE DESIGNER / ONLINE FOOTWEAR DESIGN CLASSES . MARK SCHWARTZ SHOE DESIGNER - #highheelpaintings #paintingsofhighheels,#paintingsofhighheeledshoes,#paintingshoeart,#paintingofshoe,#watercolorpaintingofshoes,#footwearpaintingdesign,#stilettoshoespainting my desktop on a typical design day in NYC. 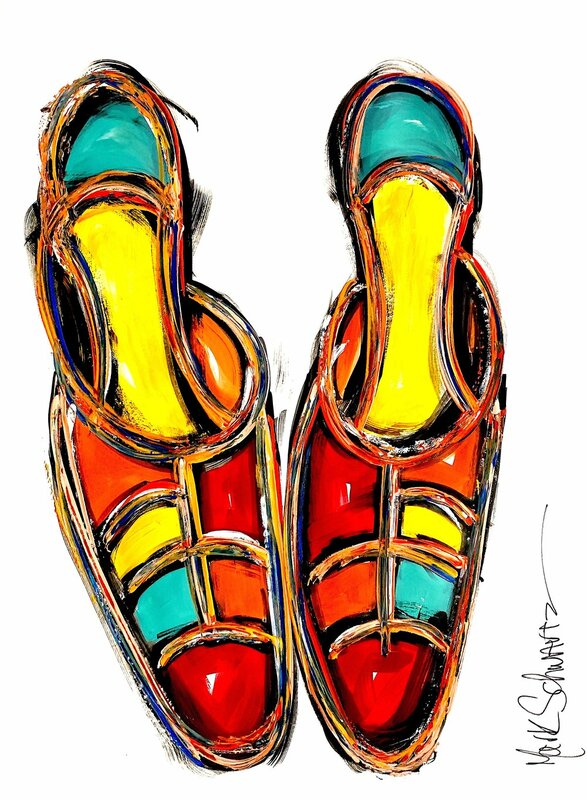 MARK SCHWARTZ SHOE DESIGNER - #highheelpaintings #paintingsofhighheels,#paintingsofhighheeledshoes,#paintingshoeart,#paintingofshoe,#watercolorpaintingofshoes,#footwearpaintingdesign,#stilettoshoespainting THIS SKETCH WAS DONE WHILE WORKING FOR ROGER VIVIER IN NEW YORK CITY 1986 , STUDY FOR NEW UPPER IDEAS IN SHOES.